ACT vs SAT | Home Education Partnership of Texas, Inc. The ACT continues to be the tried-and-true achievement exam that students, colleges, and states have known and trusted for more than 50 years. Gradual enhancements will expand the information we provide to students and schools, giving them a better, clearer map of the road to success. Since the new SAT is starting in the spring, I recommend 10th graders and younger students switch over to the ACT this year. Colleges will accept either the SAT or ACT. Some students end up scoring substantially higher on the SAT; others do better on the ACT. 1. ACT questions tend to be more straightforward. 2. The SAT has a stronger emphasis on vocabulary. 3. The ACT has a Science section, while the SAT does not. You don't need to know anything about amoebas or chemical reactions for the ACT Science section. It is meant to test your reading and reasoning skills based upon a given set of facts. But if you're a true science-phobe, the SAT might be a better fit. 4. The ACT tests more advanced math concepts. 5. 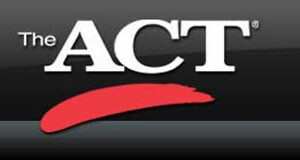 The ACT Writing Test is optional on test day, but required by many schools. 6. The SAT is broken up into more sections. 7. The ACT is more of a "big picture" exam. See our classes under Summer 2019 and Fall 2019-20.